This post is a joint piece written by [Bill Barham](https://twitter.com/kingbaramus) and [Isabelle Bargh](https://twitter.com/isabellebargh). One Friday in March, we said farewell to five young adults who had spent a week in our London studio getting the full-on ustwo experience. It was full-on for us too. In fact, looking back, we probably didn’t give our school teachers enough credit. You might be wondering why ustwo would leave two designers at the mercy of five teenagers for a week. For us, it's because we see genuine value in these experiences for the students, for ustwo and for our industry. Our intention was to stay away from teaching the students how to use the preferred industry software. Instead, we focused on hands-on exercises with an emphasis on problem-solving, communication and collaboration. We believe that the processes practiced over the week will be applicable to other aspects of the students' education and life. This is due to the flexible nature of these problem-solving methodologies. Over the course of the week, we took them through a series of design thinking and team building exercises that we use here at ustwo. 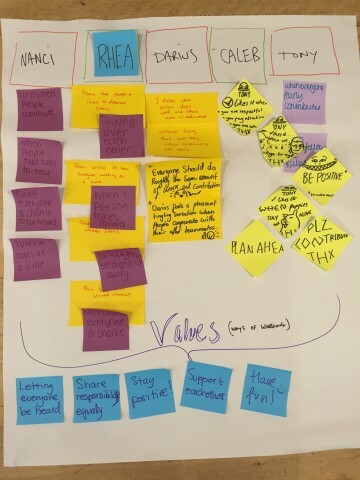 These exercises included problem definition, problem-solving, user and tech research, competitor analysis, branding, prototyping, user testing and – finally – an opportunity to present their findings to a group of ustwobies, AKA ‘The Board’. Their brief was to create a digital product that solved a real human problem. Being exposed to our ways of working at ustwo helped them to achieve that goal. But we believe it also gave them insight into their strengths and weaknesses – both as a team and as individuals – and how to improve in key areas. Showing them how to overcome group dynamic problems – in combination with the process they went through to get to a well-rounded product idea – makes for a great story, and strong portfolio piece to be used for college applications or internships. As well as the various design processes we took them through we also did a retrospective exercise as there had been tension within the team. This often happens when working on creative projects with limited time. Becoming comfortable with raising concerns – as well as celebrating their achievements – was vital for the outcome of the project. It will also be applicable for so many other trials and tribulations that may lie ahead of them. As designers, being in a position where you need to explain why, and how to use something – when is appropriate, what looks good etc – is a valuable lesson. Once familiar with certain ways of working we don’t often stop and think deeply about the exercises and processes we use, and why we use them. Learning how to best articulate this information is not straightforward. But, getting in front of people and teaching them the how, when and why will put you in a strong position next time you find yourself in a similar situation with a client. Being able to clearly explain your thinking creates clarity for yourself as well your audience. It’s no secret that the tech industry is largely dominated by white men. At ustwo, we believe that our industry will benefit from a more diverse and inclusive workforce. 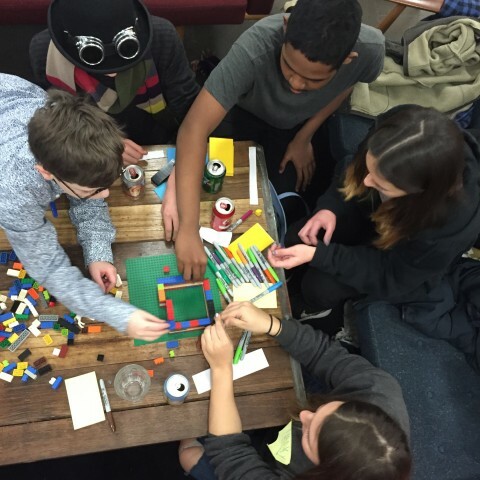 These students could, if they want, be part of the next generation of digital designers. 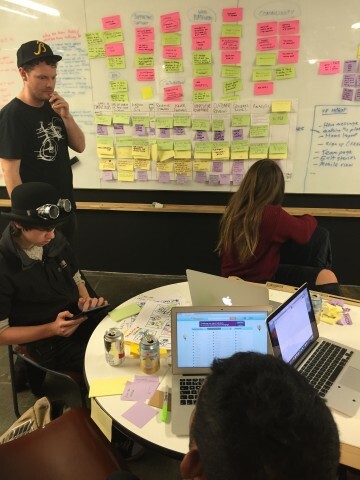 ustwo is taking action to reach out early to kids and students in schools and universities. We encourage candidates from all backgrounds and ethnicities to apply for our internships and job positions at ustwo. Initiatives like this are aimed to help people, who might not get a chance to enter the tech industry, get their foot in the door. There are many, many talented people out there who we want to meet, and collaborate with and we will be running more of these work placement weeks so we can tap into this resource. We know having a diverse workforce gives us a broader perspective and makes us better at solving problems which, ultimately, means higher quality work. Occupying three floors of The Tea Building in Shoreditch, our UK studio has over 100 talented and driven people. We're dedicated to delivering stand-out work for clients including Barclays, Ford, DeepMind, Harvey Nichols, Co-op and Sky. We also develop our own products and businesses, including mental health app Moodnotes, audio-wayfinding service Wayfindr and ticketing app DICE.